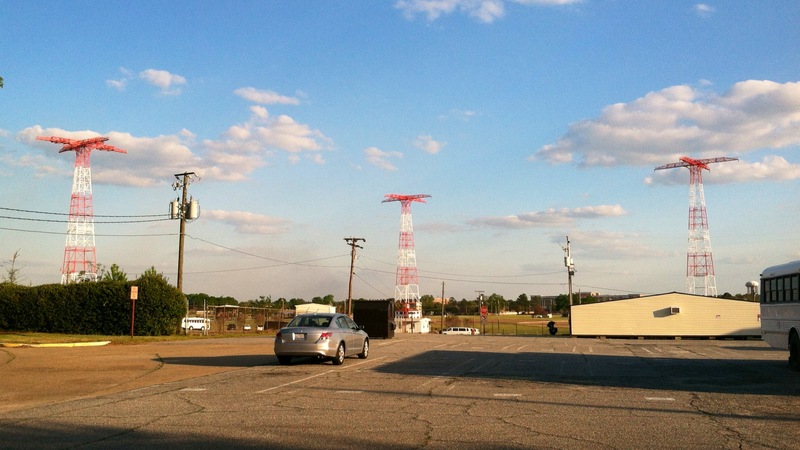 With my left hand supporting the back of my head, I tilted back my helmet-covered head to gaze at the 250-foot towers. My neck muscles were still tender from the whiplashes I suffered from the Swing Landing Trainer falls. Am I really going to do this? I asked myself more than twice. When I first raised my hand, I said to the Sergeant behind me that I was only 51% committed. That number grew gradually, however, as I saw one soldier after another of the fifty soldiers in first and second platoons who volunteered for it did the jump. We had been anticipating the jump since we got on the staging area at 0515. (Last week, we were told by one Black Hat that more than likely we weren’t going to be able to do the 250-foot tower. “It takes 15 cadre to run it,” he said. “We only have 12. None of the 12 cadres who are here today had the opportunity to jump the towers when they first went to the course here. Besides that, we’ll need 48 people to run just an arm. So if we did it, then not everybody is going to be able to do it. It’s gonna depend on the weather, too.”) But for Day-8, the first 250-foot free tower jump would take place at 0730. At least that was the plan. A lot of things needed to be setup. There must have been hundreds of feet involved running just two arms of one tower. Around 0645, we ate the hot breakfast that was brought to us. The Army can sometimes be classy, too. No MRE’s this time. “If you look over your left or right shoulder,” a voice through loud speakers repeated what we’ve been hearing since the first jump of Day-8 morning, “you’ll see the second set of white paint on the steel. That indicates you’re passing 100 feet. This is the altitude at which you will prepare for landing in 1 of 5 jumps you will do next week.” It was surreal! I almost couldn’t believe it now that I was actually suspended in mid-air at over 200 feet! I didn’t want to look down. I don’t remember looking down. I could see most of Fort Benning, but not the ground directly beneath me. Over the horizon, I saw a tiny plane, a C-130. Behind it were tiny little parachutes. Maybe 15 of them. That’s Alfa company, I thought. I’m not alone up here. “Buttons, release arm 4!” And there I floated. “Pull a rear slip.” I did. Down to earth. The mic Sergeant below instructed me to pull a a right slip. I did. “Hold it.” I did. “Feet and knees together.” Touchdown. Feet. Bottom. Head. I was fine. I am fine. My neck muscles still tender, though. In theory, as the science of PLF (again, Parachute Landing Fall) recommends, it should have been balls of the feet, calves below the knee, thighs, buttocks then pull-up muscles with chin tucked into chest. But I was fine. In fact, I said to the soldiers still lined up, “I want to do it again!” This time my commitment percentage shot up to 100! As I walked back to the staging area, two soldiers were already rigged up and ready to go. Unfortunately, they saw one tiny tear in one of the chutes. They called the safety officer who then said, “Normally, it’s okay, it’ll be fine. But I’m not gonna let that go up there.” The second soldier who was already rigged up, too, his chute detail started to head towards the hoister ring to replace the one chute which had the tear. But they called it. “That’s it. 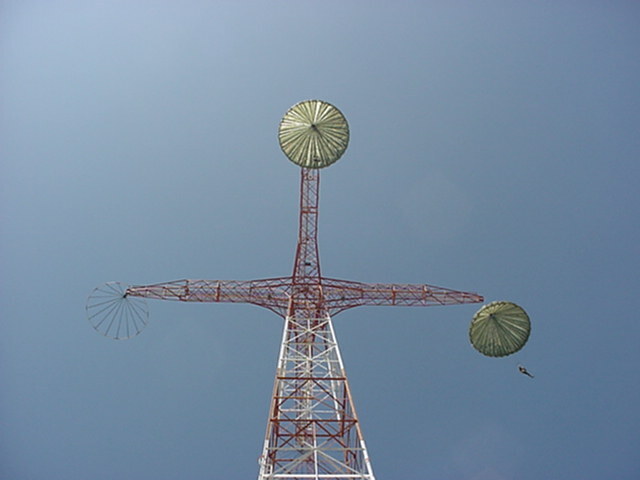 No more.” I was the last soldier on Arm 4 of the middle 250-foot tower on Day-8 of Airborne school. A confidence boost? Absolutely! Glory to God!